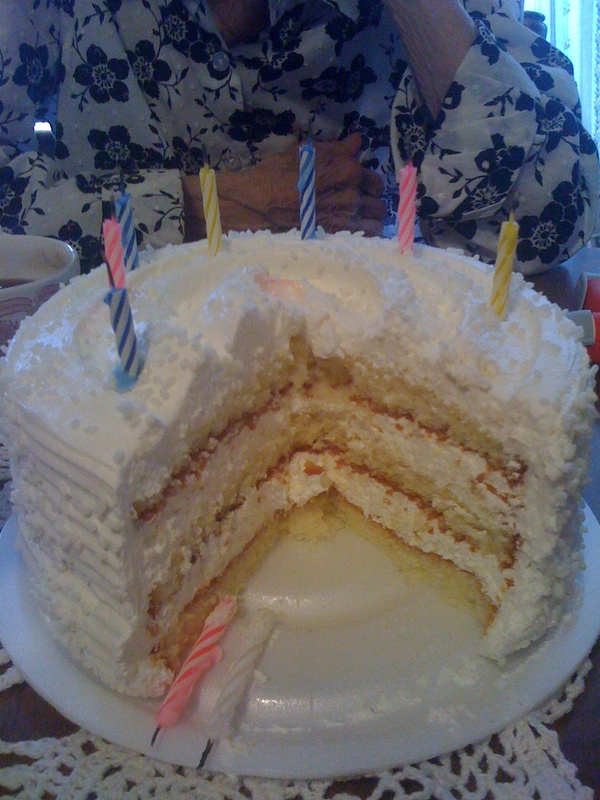 I called my grandmother on Tuesday, two days before her 90th birthday, to ask what she wanted to eat on her special day. 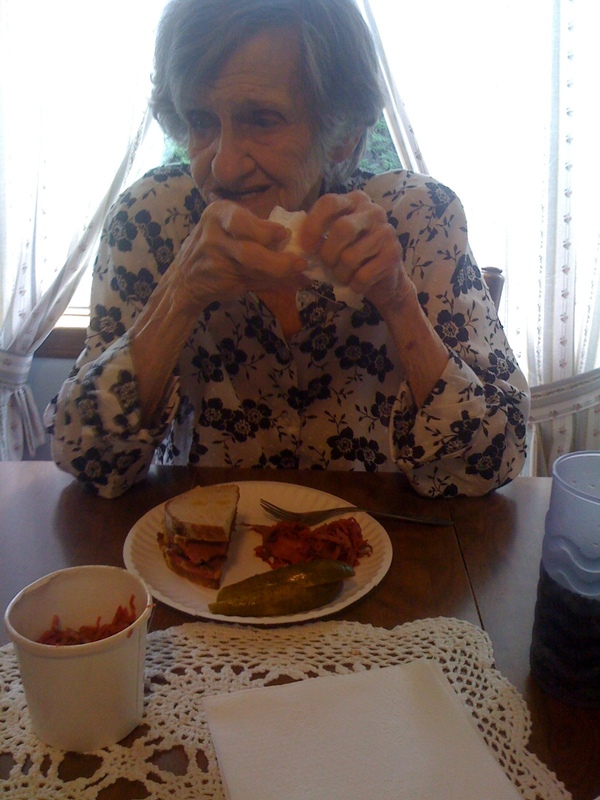 My grandmother grew up in Flatbush, Brooklyn, at a time when I imagine good pastrami sandwiches could be had for a quarter on every block. When watermelon ran down your arms in summertime (and only summertime). When lunch meant a sandwich and coffee eaten from a stool at a luncheonette. Ok so I’m a little nostalgic. 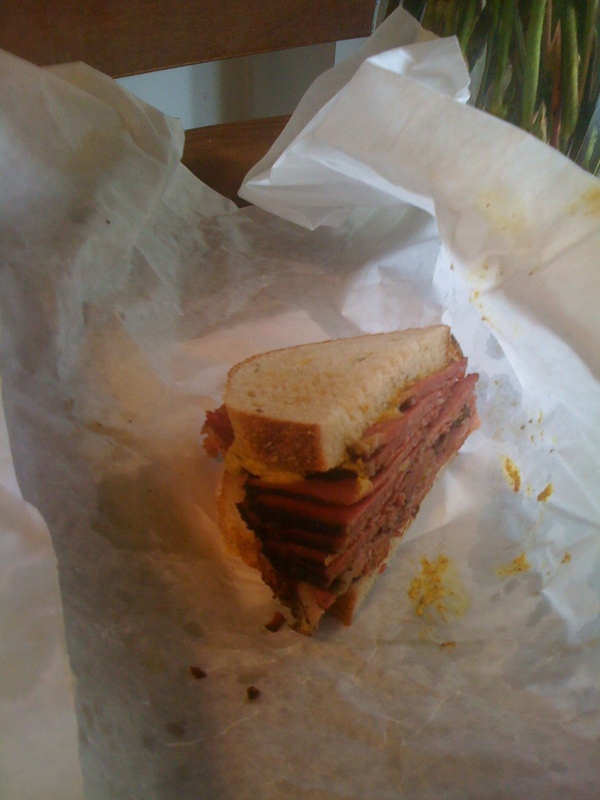 So I got off the phone with grandma and got to work researching the best possible pastrami in the borough. I emailed old colleagues, scoured the net, and in the end went with my first thought. Not the place on Atlantic in Bed-Stuy, not Junior’s, not even one of the many excellent joints in south Brooklyn. I’d been wanting to try the Jewish Montreal deli Mile End on Hoyt Street since it first opened last year. I know it’s sort of sacrilege to feed my nostalgic grandma pastrami from a hipsteresque deli whose roots aren’t even in this city. But I’d heard their beef brisket can make the driest mouths water, their homemade pickles can turn a frown upside down, and their bagels…well, that their bagels blow H&H’s out of the Croton Reservoir. So sue me. I knew Mile End would be good. 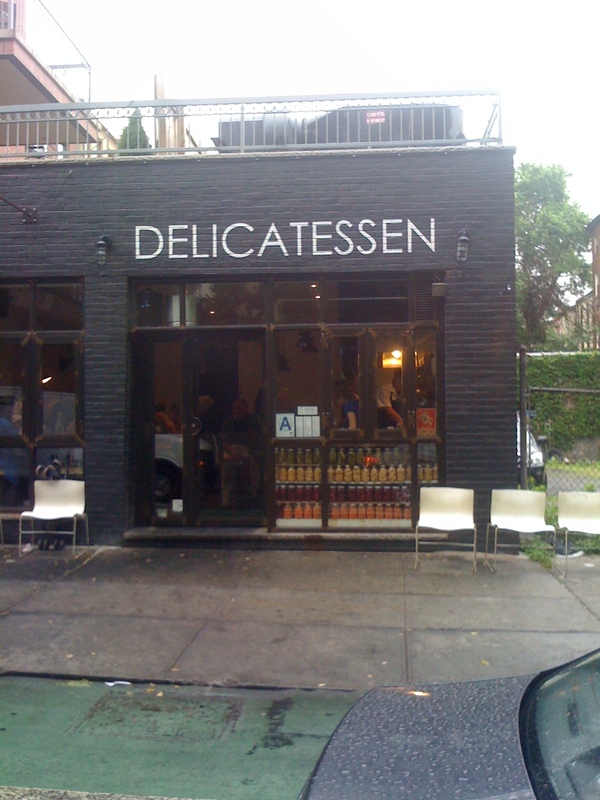 I knew it was risky going to an old and possibly over-rated deli like Katz who can coast on their good looks. I ordered the smoked meat sandwich for grandma (their beef brisket pastrami on rye), the 7 and not 14 oz, the beef on weck for myself (roast beef with horseradish), and the “grandpa” for Hope (smoked turkey and mustard). And of course the cole slaw and pickles. But before we could eat we had to drive ourselves and the meat to Long Island. We were starving. Traffic crawled on the LIE. The smell of brisket taunted us for an hour and a half. We weren’t in the door of our grandmother’s house 5 minutes before digging in and devouring the juiciest, tastiest deli sandwiches this side of the BQE. My grandmother didn’t care that the owners were from Montreal or that the cole slaw wasn’t slathered in mayo. She was too busy licking spicy mustard off her young fingers. Happy Birthday Marie! You put tears in my eyes and had my mouth watering, all at once! Beautiful and tasty tribute, Hol.